​​Mission: "To guarantee that giraffes are protected and preserved in their natural habitat." 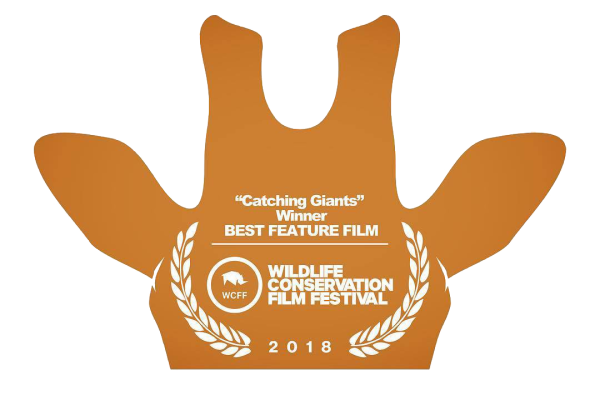 Catching Giants, a film funded in part by Save The Giraffes, won "Best Feature Film" at the Wildlife Conservation Film Festival. Click here to learn more. How Will You Show Save The Giraffes The Love? 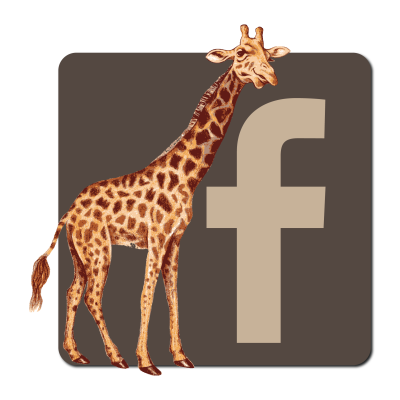 LIKE ​​​​​ Save The Giraffes on Facebook! Help spread the word about our giraffe conservation efforts by sharing the messages we post, and inviting your friends to support us as well! 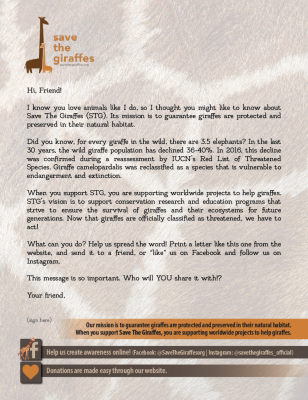 Tell your friends about Save The Giraffes! We've helped you write a letter... (Click on image above.) Now print it out, put it in an addressed envelope, and send it to your giraffe-loving friends.